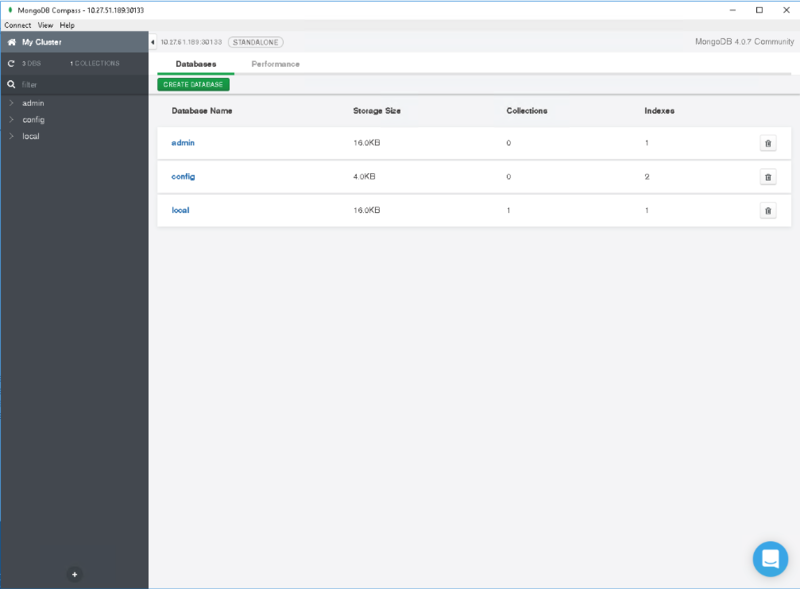 I’ve been spending a bit of time lately look at our Heptio Velero product, and how it works with various cloud native applications. Next application on my list is MongoDB, another NoSQL database. I looked at various deployment mechanisms for MongoDB, and it seems that using Helm Charts is the most popular approach. This led me to the Bitnami MongoDB Stack Chart GitHub Repo. At this point, I did spin my wheels a little trying to get MongoDB stood up. In this post, I’ll talk through some of the gotchas I encountered. Once again, my environment is vSphere 6.7 and vSAN 6.7. I am using the Pivotal Container Service/PKS 1.3 which has the vSphere Cloud Driver for Kubernetes, and I already have a 4 nodes Kubernetes cluster running v1.12.4. Helm is also installed and initialized. In a further post, I’ll look at Velero backup/restore of this MongoDB deployment. OK – so the first thing you need to do is to download values-production.yaml file. This has got all the configuration information that you will need when trying to deploy the MongoDB helm chart. I spent a lot of time adding set options to the command line of my helm install, when I should have simply been referencing this file with my own tuned values. However, I think it is good to show you the sorts of issues I encountered and also what I went through to configure the MongoDB helm chart in order to get a working MongoDB environment. Note that before doing anything, you will need a StorageClass for the Persistent Volumes that we will use for this deployment. Here is my tried and trusted StorageClass YAML file which is referenced when dynamic Persistent Volumes are required – it placed the PVs on my vSANDatastore (as VMDKs) with a vSAN policy of gold. A simple ‘kubectl create‘ of my StorageClass YAML file, and we are good to proceed. One other thing I wanted to do is to place MongoDB into its own namespace. Thus a very quick ‘kubectl create ns mongodb‘ and I was now ready to proceed with the helm chart deployments. If you are new to helm and tiller, this is a good place to get started. Here was the helm command that I used. Don’t use this unless you really want to see the issues I encountered. The proper command will appear further on. In this case, my pods were never entering a ready state. I decided to run a ‘kubectl describe‘ on the pods to see if I could get any further clues. Here is a snippet of some of the describe output, which also displays pod events at the end. So obviously some problems with trying to connect to the database, as well as the liveness and readiness checks failing (presumably because they are trying to connect to the DB). Next I decided to login into one of the pods and see if I could get any more information by running the mongo client and mongod daemon. It would appear that the biggest issue is that the Data directory /data/db was not found. Now, if I look for the PV mount point, I can see that it is not in the / (root) folder, but it is in /opt/bitnami/mongodb. OK – there seems to be an issue with where MongoDB is expecting to find the data/db folder. Was I missing another –set value on the command line? # # Where and how to store data. # # where to write logging data. With this file saved, I relaunched my helm install command, but this time referencing the values-production.yaml file. Wow – this looks better already. Let’s see if I can now run the mongo client on the pods, which I could not do before. Defaulting container name to mongodb-primary. Use 'kubectl describe pod/mymongodb-primary-0 -n mongodb' to see all of the containers in this pod. 2019-03-28T12:22:36.914+0000 I CONTROL [initandlisten] ** WARNING: Access control is not enabled for the database. 2019-03-28T12:22:36.914+0000 I CONTROL [initandlisten] ** Read and write access to data and configuration is unrestricted. 2019-03-28T12:22:36.914+0000 I CONTROL [initandlisten] ** WARNING: This server is bound to localhost. 2019-03-28T12:22:36.914+0000 I CONTROL [initandlisten] ** Remote systems will be unable to connect to this server. 2019-03-28T12:22:36.914+0000 I CONTROL [initandlisten] ** server with --bind_ip 127.0.0.1 to disable this warning. 2019-03-28T12:22:36.914+0000 I CONTROL [initandlisten] ** WARNING: soft rlimits too low. rlimits set to 15664 processes, 65536 files. Number of processes should be at least 32768 : 0.5 times number of files. metrics about your deployment (disk utilization, CPU, operation statistics, etc). improvements and to suggest MongoDB products and deployment options to you. There are a couple in interesting outputs from the mongo client, even though it appears to be working. First is related to access control. I’m not too concerned about that as this is in my own private lab. However, I do want to be able to use an application like Compass for managing the database from my desktop. Thus I do not want the servers to be bound to localhost. So there is another change needed to be made in the values-production.yaml file. First, delete the current deployment. And reinstall the helm chart as before. Now if you login to the pod, and run the mongo client command, that message about bound to localhost should be gone. Finally, we can see if we can manage the database from Compass. In my case, I do not have a LB front-end, so I simply connect to the IP address of one of my K8s nodes, along with the port on which my MongoDB is accessible externally. You can get the port in a number of ways, but the simplest way is to look at your services. In the output below, the external port is 30133. With details about the K8s node and MongoDB port, we can now connect to it via Compass. Since I have not bothered with credentials, none are needed. Excellent – we are up and running. Now, I can drop a number of additional –set options (nodeport, storage class, etc) and make my command line to install the helm chart for MongoDB a lot simpler. You can play with this yourselves. Come back soon as I plan to populate the DB with some useful information, and then go through the process of backing it up and restoring it with Heptio Velero.